Today I discovered something of a potential minefield for mortgage brokers when I came across an ambiguous process in Westpac’s servicing calculator. I am not targeting Westpac it is just that their calculator almost caught me out and so I figure the same could happen to others. If not detected it could result in the ridiculous situation whereby the mortgage brokers could be placed in breach of their “Responsible Lending” requirements under the National Consumer Credit Protection Act. The legislation as administered by ASIC places what is probably an unfair onus on the mortgage broker to “take reasonable steps” to ensure that a loan recommendation or application is within the borrowers capacity to repay without causing undue financial stress. I found that the Westpac calculator can be very easily misinterpreted resulting in an incorrect income figure placing the broker in breach simply for recommending the loan. There is always a variation between lenders on borrowing capacity as their various policies may accommodate or discount an individual scenario and so it would be very easy to say ah well Westpac are generous on this one. 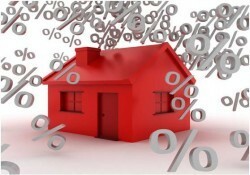 After all it is not unusual for a range of $100,000 across different lenders on a $500,000 loan scenario. I only became aware of the issue when comparing a larger deal $3 million and found all other lenders offered only $2 million. Only then did I realise that I had misinterpreted how to enter data in the calculator and that the calculator provided no error detection to capture the double entry – something Westpac should address. My concern is that ASIC’s latest RG209 (2013) confirms that the legislation applies at the time that the broker suggests a credit contract or assists a consumer to apply. Therefore any broker who has made an application based on a flawed use of a servicing calculator may be deemed to not have ” taken reasonable steps”. As COSL ( credit ombusdman ) so often point out “Although an application for credit may satisfy a credit provider’s own policies for affordability, it does not necessarily mean that it meets the responsible lending standard in the legislation.” So even if the application is rejected, as it should be, the broker is potentially in breach for recommending or submitting the application. This is probably an issue that aggregators should raise with lenders in order to keep the process simple and as standard as possible. After all the aggregators are often licence holders and a mistake by one of their credit representatives will reflect on them.